The result also saw Chelsea suffering their biggest defeat in any competition since losing 7-0 to Nottingham Forest in April 1991, according to Opta Stats. 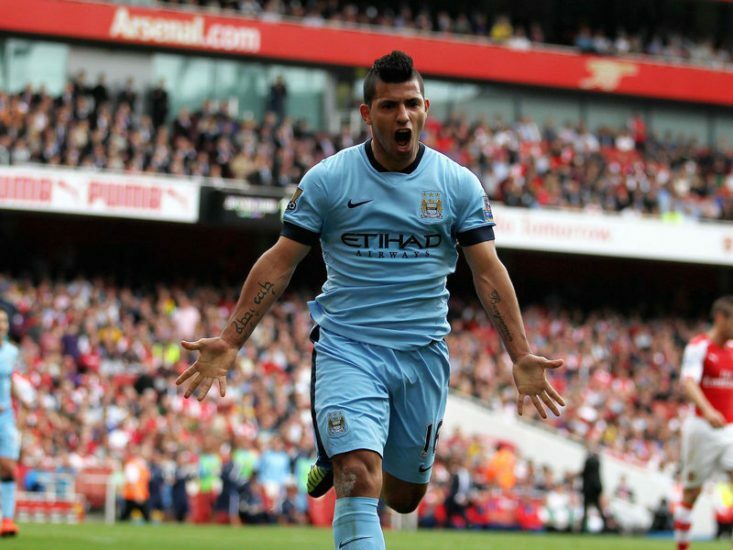 Sergio Aguero netted a hat-trick, as the champions hammered the visiting Blues 6-0. Chelsea boss Maurizio Sarri then walked straight down the tunnel, side-stepping Pep Guardiola as the City boss went over to shake his hand. Manchester City raced out to a 4-0 lead after 25 minutes, as Raheem Sterling firing home the opener in the 4th minute before Aguero netted in the 13th and 19th minutes, respectively. Ilkay Gundogan also scored before the break with a low shot into the bottom corner from the edge of the box after 25 minutes. Following the break, Aguero grabbed his hat-trick with a well-taken penalty kick, while Sterling grabbed his brace and Manchester City’s sixth from close range with 10 minutes to play. Today’s result means Guardiola’s men returned to the top of the Premier League standings on goal difference, but has played a game more than Liverpool. The defeat sees Chelsea dropping to sixth and one point behind fourth-placed Manchester United, who are on 51 points. Arsenal are on 50 points in fifth.